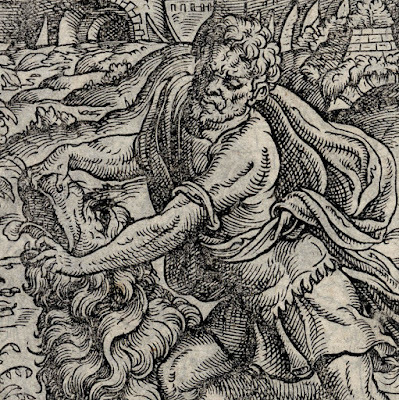 “Samson Rending the Lion” (Judg. 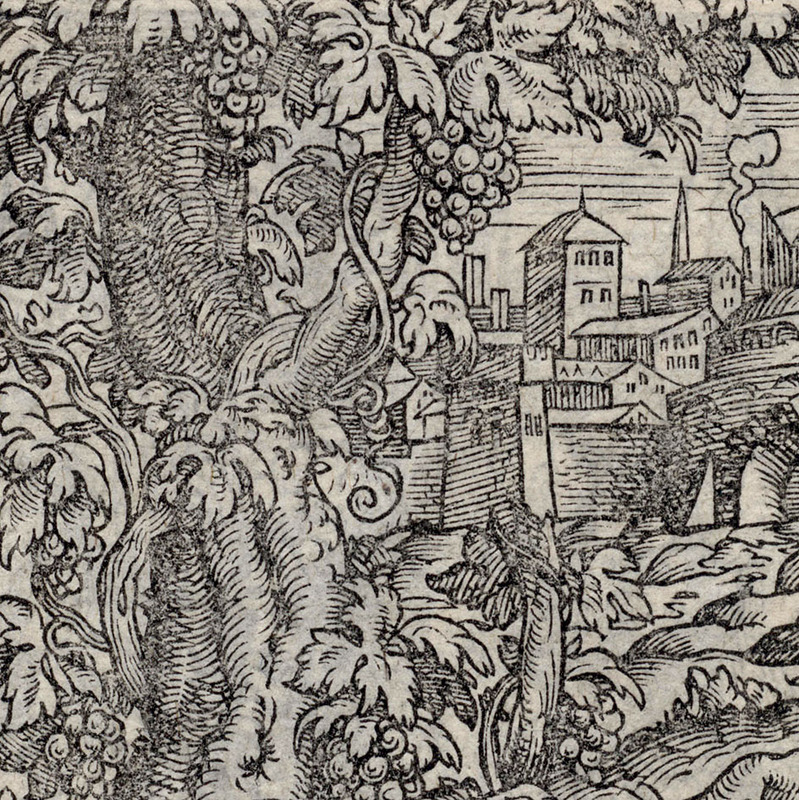 14), 1564, from “Biblia”, published by Sigmund Feierabend (1528–1590) in Frankfurt and most likely printed by Georg Rab (and/or Weygand Han?) 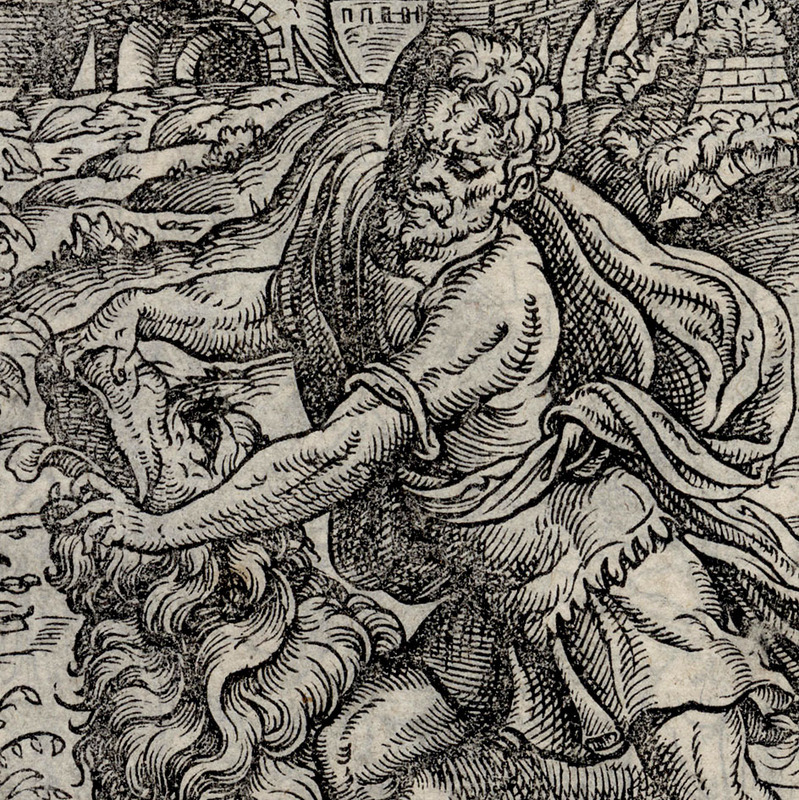 as Rab had formed a consortium with Sigmund Feyerabend and the Han press in 1561 (see BM no. 1870,1008.1944). 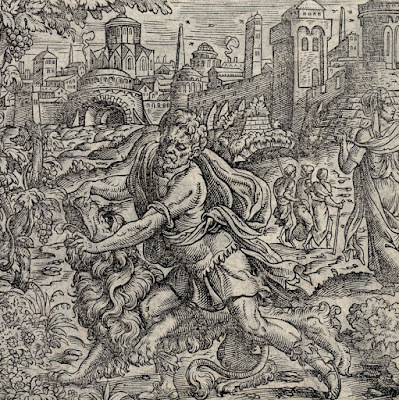 Based on other prints in “Biblia” this woodcut may be after the Austrian printmaker, Johann Melchior Bocksberger (1525/35–1587). There are no inscriptions on the plate (but there may have been additional details in the margins that have been trimmed off. 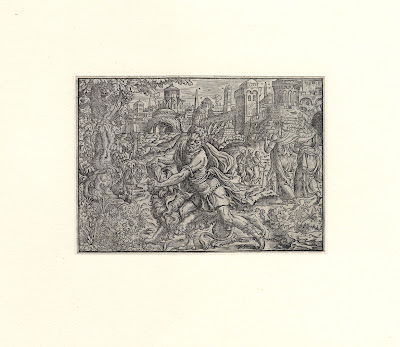 I am unable to identify the edition or state of this print but it is clearly an early impression based on the lack of damage to the woodcut border that is broken at the lower edge shown in the impression reproduced in TIB, vol. 20 (Part 1), p. 267. Condition: good, but far from perfect, impression from a slightly worn plate before the borderline was damaged (see note above). The sheet has been trimmed with narrow margins close to the image borderline and laid upon a conservator’s support sheet cradled within added margins of archival wove paper. There is a closed tear at the lower edge of the print that is now supported by the conservator’s sheet. 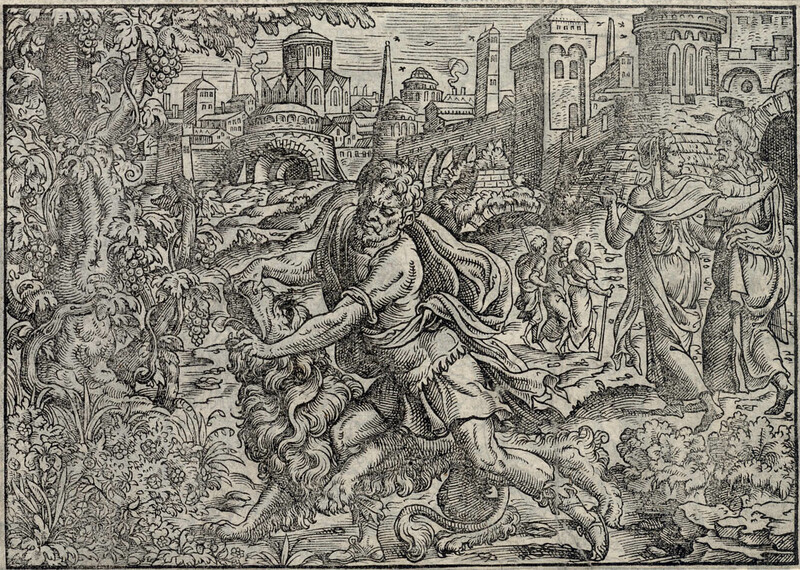 I am selling this graphically strong 16th century image of Samson battling with a lion for the total cost of AU$138 (currently US$105.97/EUR91.13/GBP79.89 at the time of this listing) including postage and handling to anywhere in the world. 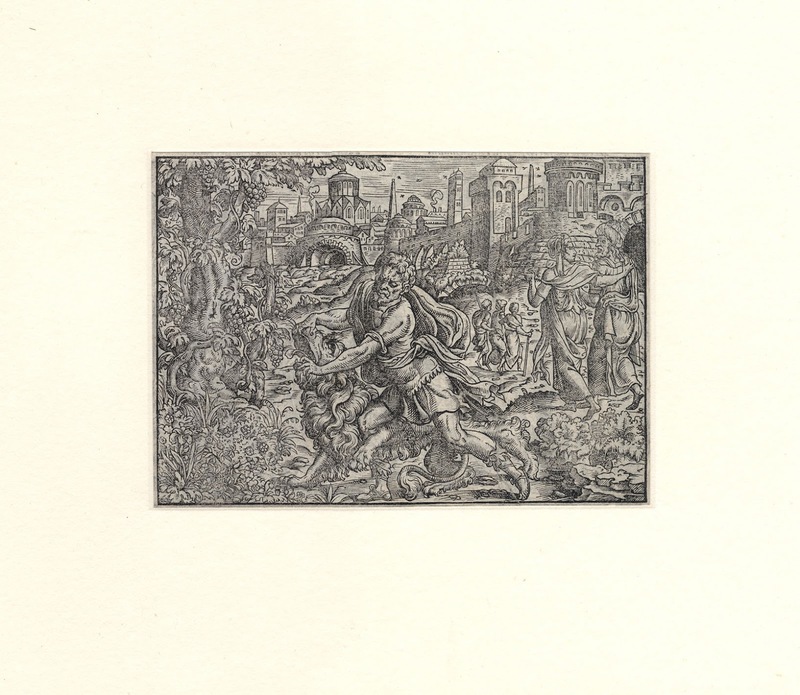 If you are interested in purchasing original woodcut print executed by one of the major old master German illustrators, please contact me (oz_jim@printsandprinciples.com) and I will send you a PayPal invoice to make the payment easy. 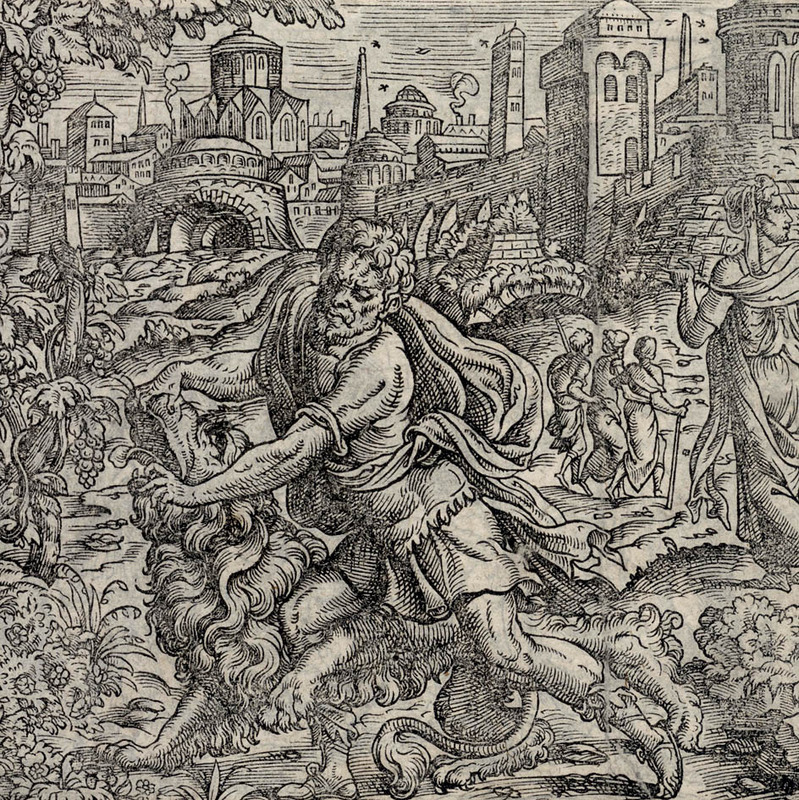 Jost Amman was a prodigious printmaker. To be frank, this is an understatement as anyone (like me) who has plodded their way through the two massive TIB (1985) volumes dedicated to Amman (Vol. 20, Parts 1 & 2) in search of an image from the reproduced 1500 prints can attest. After reading the editor’s (Jane S Peters) comment I agree that the word “prodigious” to describe Amman’s graphic oeuvre is modest. Fortunately for those searching for a particular print, Amman’s style is quite distinctive and his prints are easily distinguished from those by artist’s like Virgil Solis who were equally (but not quite in the same league) prodigious. 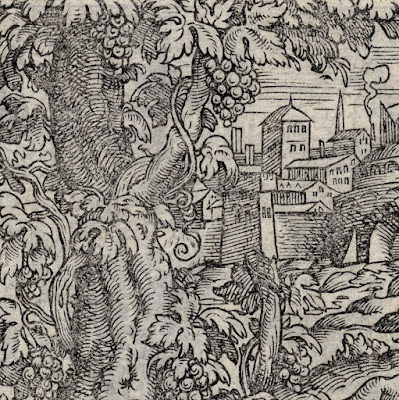 Like most of Amman’s woodcuts, this slightly worn impression reveals its popularity with publishers as not only was it used to print the many copies of “Biblia” in 1564 and later editions, I can see from the TIB notes of other catalogue raisonnés (viz. 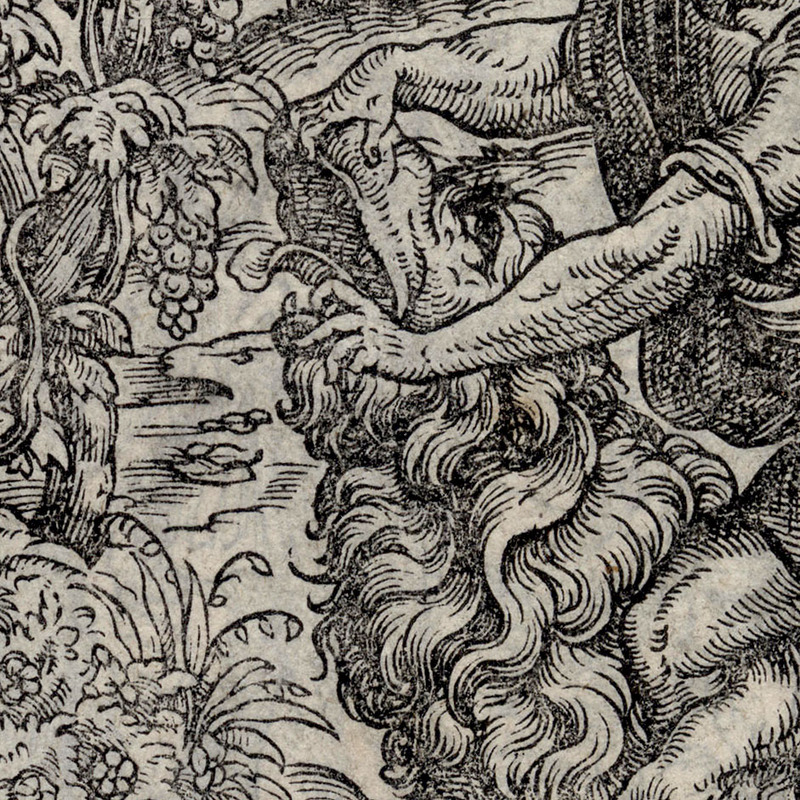 “Same as B.12.30 (374); A.181.37, Becker 1.1.37”) that it was extracted from the series of illustrations for “Biblia” and printed as an illustration in fresh publications. 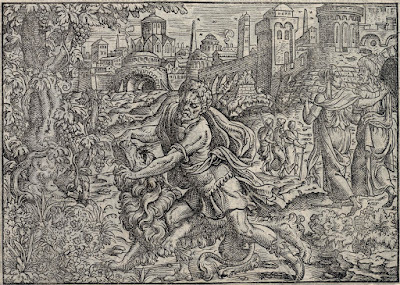 Regarding the republishing of prints from “Biblia” the curator of the British Museum advises consulting Hollstein for later uses of the plates (see BM no. 1895,0420.241).